Dr. Bernard E. Rollin is Colorado State University Distinguished Professor of Philosophy and University Bioethicist. He has dedicated his life to improving animal welfare in veterinary schools, medical schools, research laboratories, and agriculture. He is the author of more than five hundred articles and seventeen books. 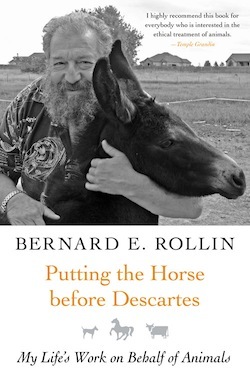 His latest book, an autobiography about his work on animal ethics, was just published in 2011: Putting the Horse before Descartes: My Life’s Work on Behalf of Animals. 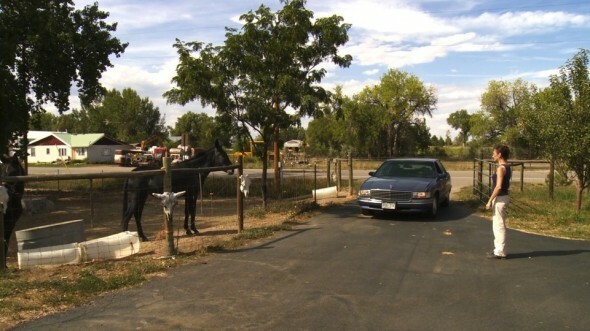 We met with Bernie at his friend’s farm on Tuesday, September 11th, outside of Fort Collins, Colorado. Since we have been filming a lot of slaughter over the past two years, we knew it was important to get his philosophical perspectives on methods of stunning. The science involved in determining insensibility is critical, of course, but not worth practical consideration without coming at it from an ethical position. The person best equipped to answer our questions was Bernie. He is the quintessential animal magnet, which humorously made it a bit difficult to get our interview off the ground. 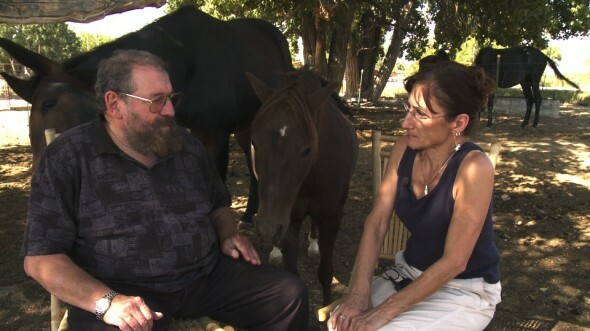 It took us some time to realize that we should conduct the interview standing up with the horses inside of a corral. We gained some valuable perspectives on pain and sentience from speaking to Bernie at length about his thoughts on stunning practices (captive bolt gun, gas and electrocution). First of all, we learned that he does not like electrocution because he believes that the animal feels it for a while. He also is opposed to CO2 gas stunning. He argues that the animals experience suffocation and that it can take up to 40 seconds to lose consciousness. With a captive bolt gun, he said that there might be a microsecond of pain on impact, but then consciousness is ablated immediately. Before Bernie headed home, we asked him what he thought about the public’s role in advocating for humane slaughter. 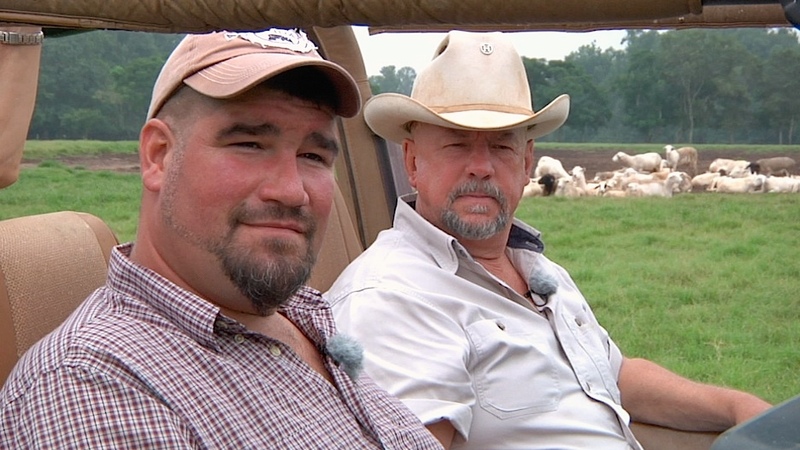 He said, “The only way we’re going to get the sorts of improvements that we’ve been talking about is for the public to demand it.” I responded by saying that consumers don’t want to think about slaughter. With the kind of wisdom I would expect from him, he replied, “In my experience, it’s not that consumers don’t care. 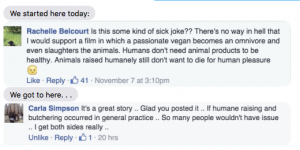 It’s that consumers don’t know.” Yet another reason for slaughterhouses to have glass walls. . .